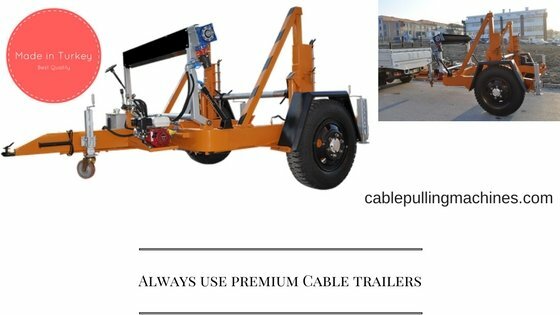 Cable drum trailers are the most important accessories, which are being used in any kind of project. Whether it is a construction company or electric supply or be it is telecom industry. 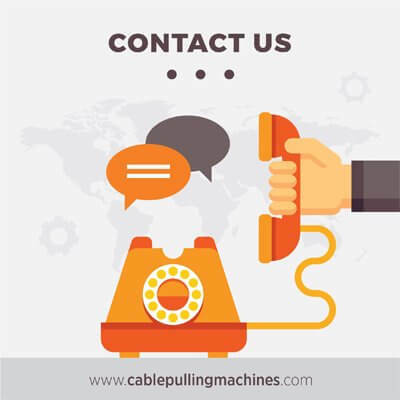 The cable drum is primarily equipment used for loading and unreeling of cable drums and cable reels at the best possible rate of outcome. You should be cleared about the specifications of cable drum trailer. The hydraulic cable drum trailers are very highly formulated, in such a manner that carries most favorable strength. The installation of trailer is done effortlessly. And it is comprise of a long durable life and the loads it can carry for a long time. The demand of this Hydraulic Cable Drum Trailers are very high due to the outstanding performance is well expediency and consistency, cable drum trailers. The leak pins helps in controlling the lifts in case of failure. That cable has a locking system, which helps to hold the cable drums in place while in actions. The manufacturer of the trailer takes care that each and every possible way so that no mishap and all the work get conducted in smooth and efficient manner. The various kinds of cable drums, which are available according per customers, need. It is initially required on different sites and on some of site projects. The variety of drum trailers, among which CD 20, PT60 and CD30, which are very commonly used in so many The cables are ready that have got breaking and as well as road lighting system cable drum trailers. The system is intended in such a manner that it carries out heavy loads and it travels up with a good speed. With the built in hydraulic hand pumps the trailer is safe while travelling even on smooth roads. For further protection it also comprises of mechanical security. They are engineered in such manners that it gets fitted with the most powerful and heavy-duty engines. The performances are hassle free and provide good hydraulic transmission for a smooth pull. The most vital point you should get hold is about the quality of the product and conviction, dependability and superiority of goods is being sold. The equipment’s are safe for usage and government certified, with 2years warranty. It is easy to maintain and the spare parts are cheap and services are of low cost.